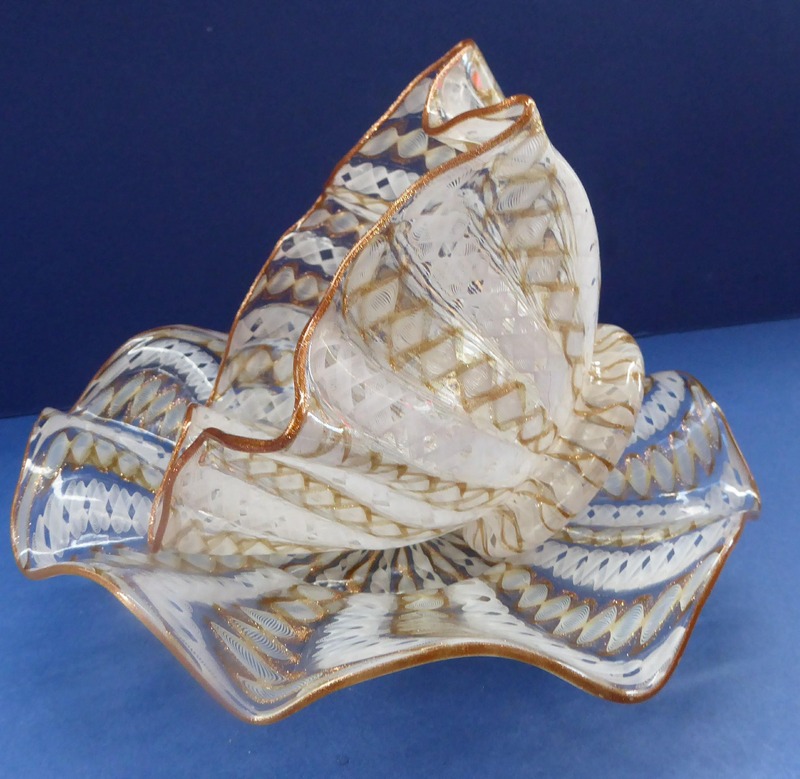 On offer here are two pieces of beautiful Murano glass. I do have a few other matching pairs on offer, and I have taken a few images of these as a group - just so there is no confusion this listing is for one pair as shown in my header image. 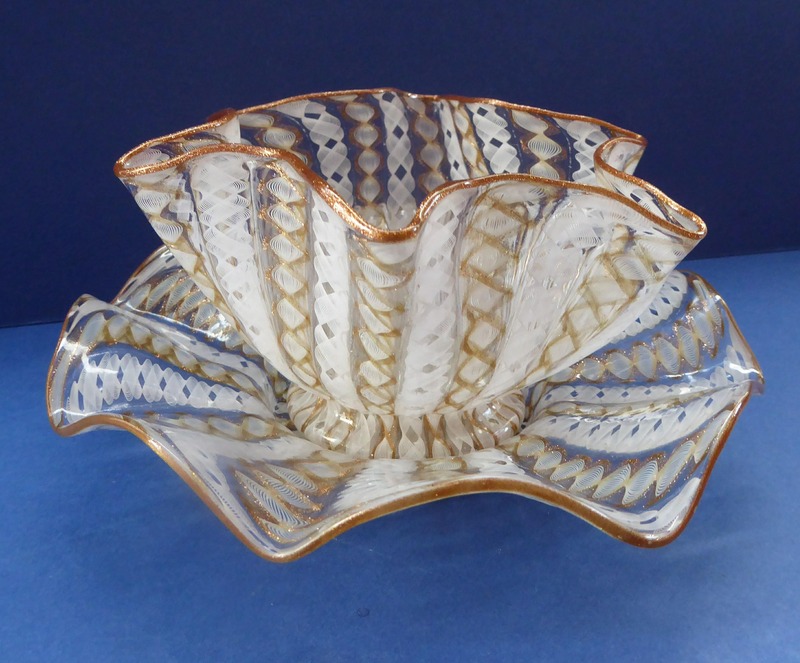 Here, we have a fine vintage glass finger bowl and matching underplate which were made by Salviati, Murano in Italy. There is no indication to the date of these items - but I am thinking that they date to the first half of the 20th century. 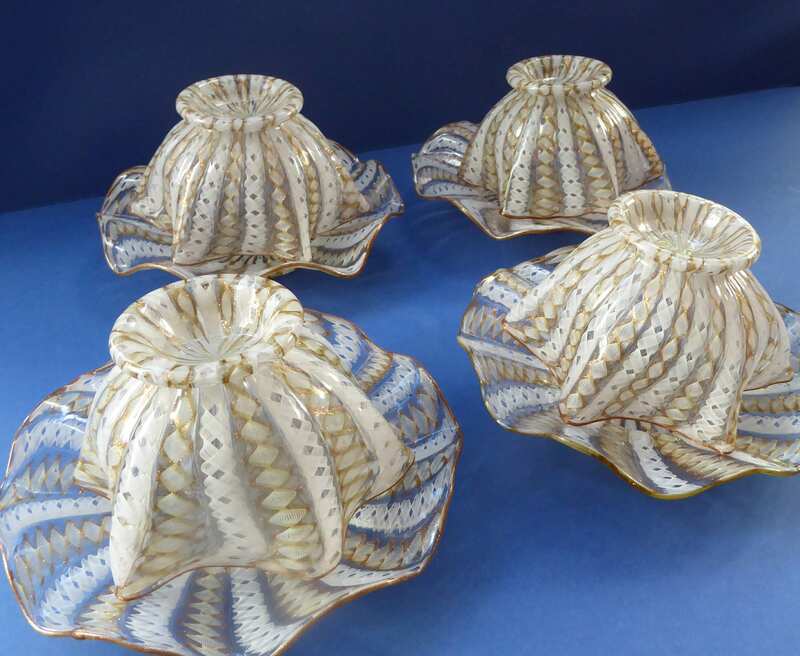 They are very delicate and it is certainly remarkable that these wonderful pieces of hand-blown glass have survived in pristine condition with no condition issues of any kind. 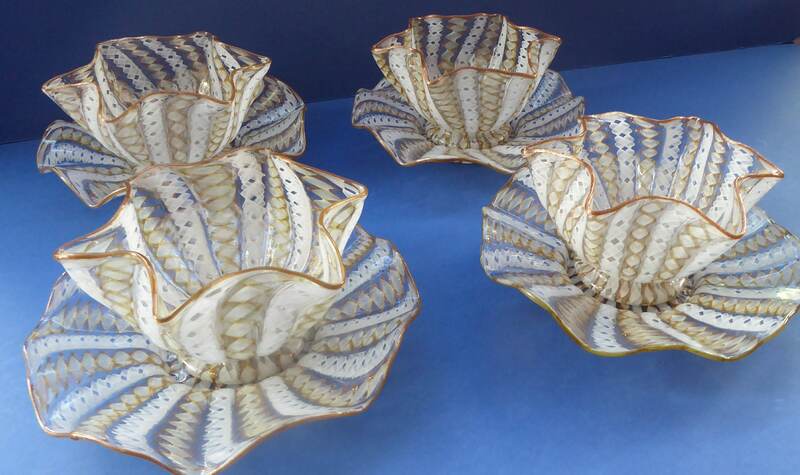 Each piece has frilled rims. 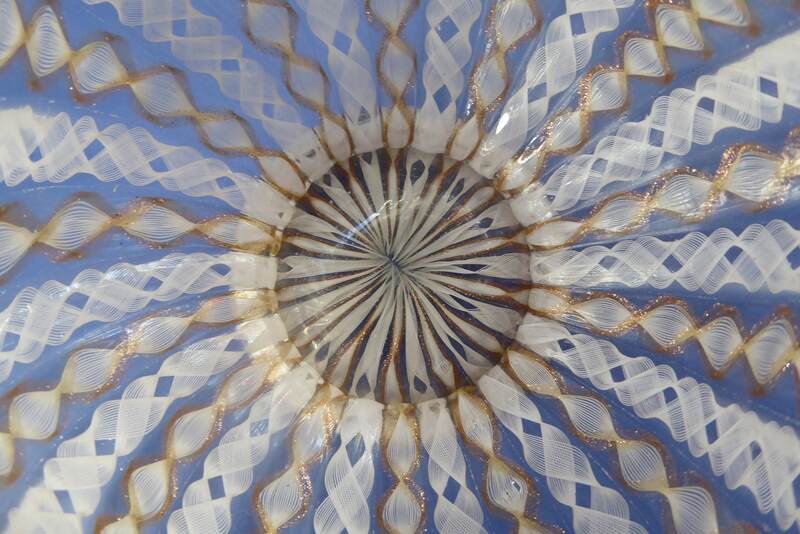 The plate or saucer has a diameter of 7 inches at the widest point. 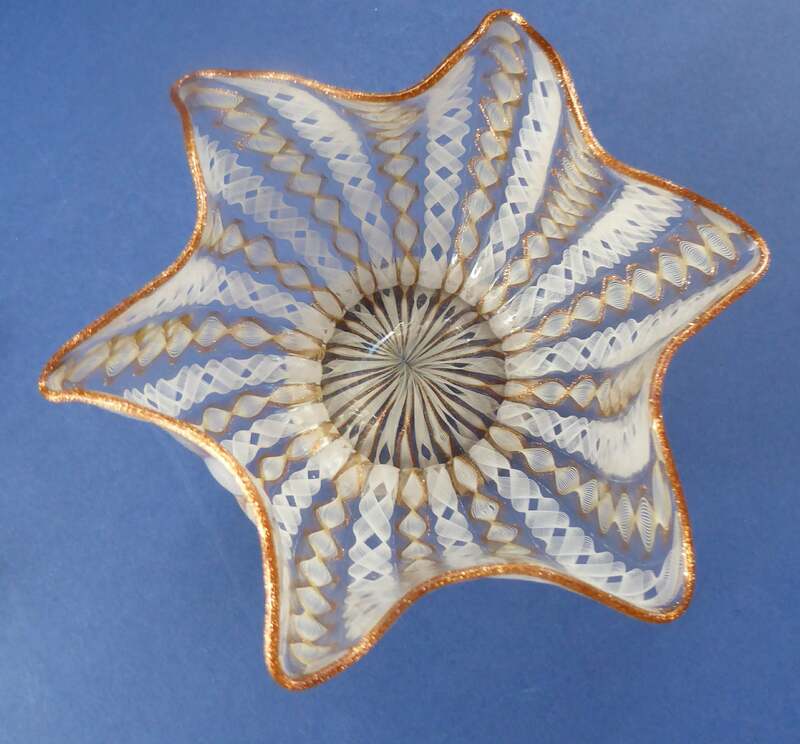 The finger bowl is 3 inches in height and with a diameter of just under 5 1/2 inches. The finger bowl and little underplate both have a beautifully formed foot, as photographed. As you can see from my photographs these are just exquisite examples. 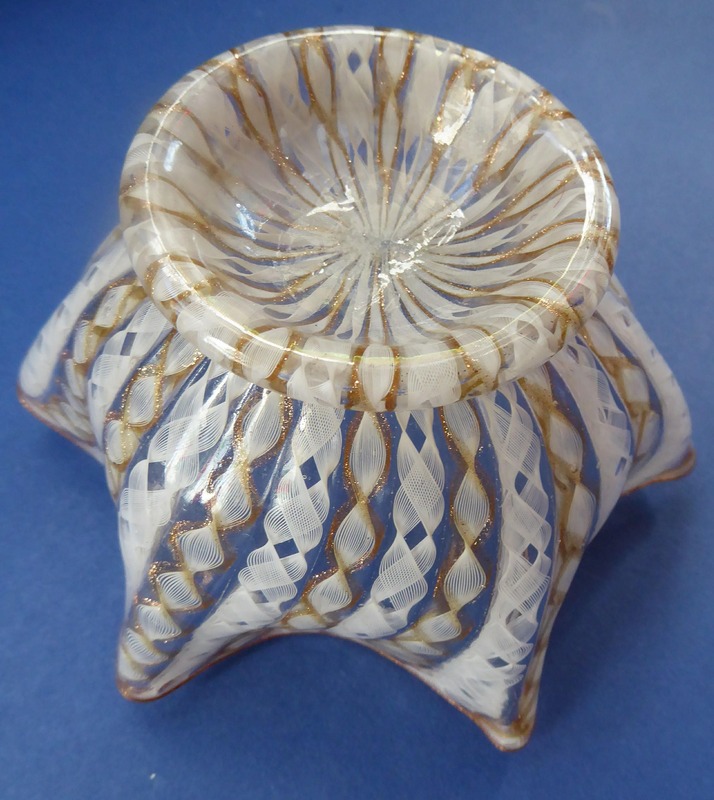 They have white and gold coloured aventurine twisted caning throughout each piece. It is made using the Zanfirico / Latticino technique - where fine canes have been stretched and twisted to form a glorious lattice pattern. The quality of each piece is just stunning. 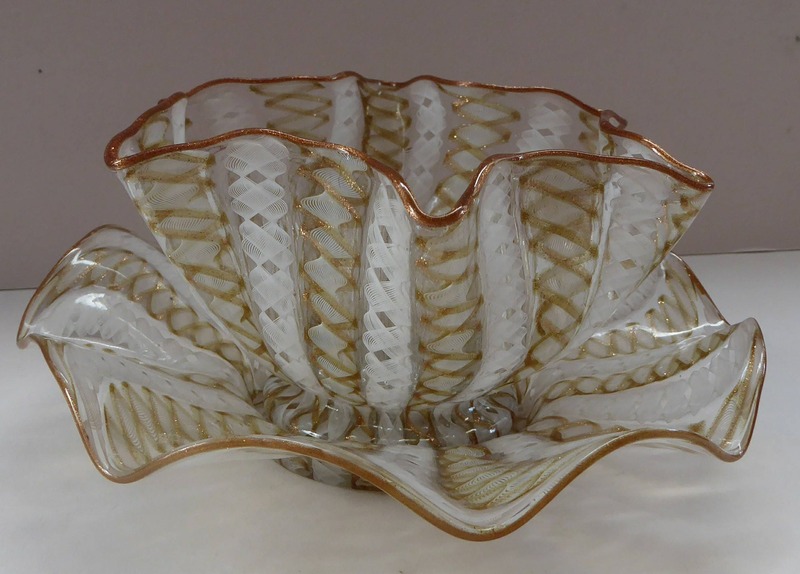 There are swirls of pink and copper aventurine twisted caning throughout both the bowl and plate. 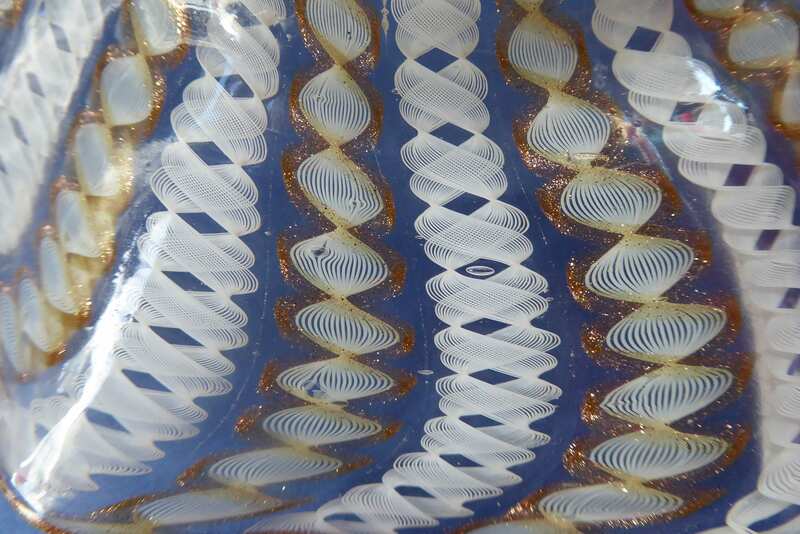 The name of this glass blowing technique is called: Zanfirico with Latticino. It consists of fine filigree canes which have been stretched and twisted to form beautiful lattice patterns. 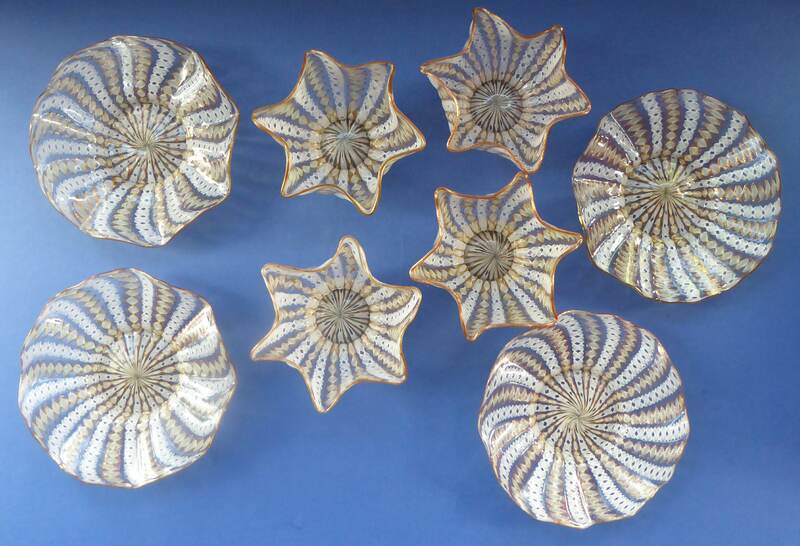 Given the quality and pristine condition (and delicacy) of these eye-catching pieces to top quality of Murano glass - my asking price for each pair is certainly a very fair one.